Last month I had the opportunity to attend LinkedIn’s annual event, Talent Connect 2018. More than 4,000 recruiters and talent professionals came together to listen and learn from each other. 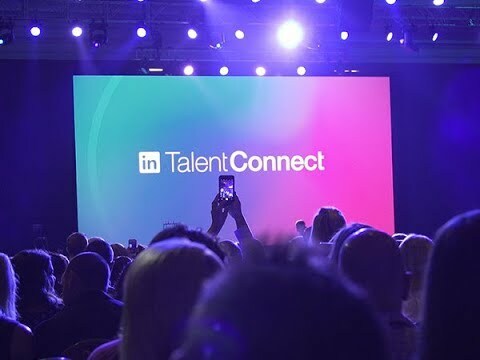 While LinkedIn found ample opportunity to tell their story, the themes throughout the conference were definitely talent-centric. Here are some of the highlights. LinkedIn certainly has their act together. Their current product strategy, in and of itself, is not that unique - recruiting, learning, engagement, job distribution, and social selling. What makes these products special is how they leverage LinkedIn’s giant member network today and how they will leverage Microsoft’s capabilities in the future. Dan Shapero’s keynote and product announcements tell a terrific story. LinkedIn knows they have to help talent professionals work at the top of the funnel much better with more focus on building out the job data model to include commute time, salary and benefit data, evidence of career growth, and clarity on certifications. Their development of Recruiter Connect’s integration with more ATS platforms brings tangible benefits to recruiters. The future of LinkedIn’s interaction with our ATS and recruiting workflows is just getting started. For example, improvements in how LinkedIn will support direct talent engagement by recruiters and help talent better tell their stories are on the horizon. Better diversity data tools are coming to the LI products to help us reduce bias and improve diversity in sourcing, hiring, developing, and managing talent. Talent Insights is a breakthrough analytics platform. Talent Insights gives deep data on talent (supply) and jobs (demand), built on their 400 million member base. Solid products and the LinkedIn network … if you are in the talent business, I’m hard pressed to see how you would NOT want to work with LinkedIn. LinkedIn serves their members first, customers second. Jeff Weiner’s keynote, focusing on the skills revolution, multi-generational workforce, and the opportunity gap, framed how these themes impact LinkedIn members and their member’s sense of purpose. He also highlighted the role of the employer in helping their employees realize that purpose. As a customer of LinkedIn’s recruiting, engagement, and job distribution products, they made it clear to me that they aim to protect the trusted relationship they have with their members. In private conversations and public sessions, LinkedIn product managers emphasized that member profile data access rules are paramount. LinkedIn knows that recruiters have an insatiable desire for access and they are often willing to pay for increased access. Still, the ‘member first’ mantra was frequently cited as a constraint. Too much change, not enough time to adapt? Get used to it. Tamar Elkefes and Josh Bersin made several key observations and called for a learning transformation. Both cited the common themes we know – increased complexity in a service economy, more and more change, new technologies, the role of skills, emerging markets and global growth. Tamar shared several examples of how mobility will play a key role in learning. She cited the examples of young children leaning from videos and engaging in a swiping UI. Tamar talked about how 85% of jobs in 2030 will be new. The impact? We are developing and training workers for jobs that don’t even exist today! 43% of workers today have some level of working from home. 41 million in the U.S. are independent contractors. By 40, people will have had 8 to 10 different jobs. Josh Bersin’s talk was grounded in terrific research around the skill gaps we face today. His focus on micro learning and the learning experience we need to create for our employees was compelling. Listening to Carla Harris’s message of personal development, character and accountability are the best 30 minutes you’ll spend in the next 30 days. Listen to the talk and then give the gift of sharing the video with your team or someone else you care about. Her message will resonate if you are just starting your career, navigating your 30’s or 40’s, or finding your way through your 50’s and 60’s. I left the meeting and bought her book. Expect to Win: 10 Proven Strategies for Thriving in Workplace. I read it on the plane ride home. Carla’s practical advice and humble way of sharing it make this a special book. Best title for a talk goes to Delta’s HR team - “Designing for Disappointment”. If you work in the talent space, you know the issue: you get thousands of job applicants that aren’t going to move through the process. Delta received 1.2 million applications for only 10 thousand openings. They shared their strategy for responding to every applicant to preserve each applicant’s positive view of Delta. After all, those 1.2 million applicants fly thousands of miles every year and they have a choice! Glenn’s message of clarity of goal and process discipline never gets old. If you are in the talent business and want to improve – read Glenn’s blog. Here’s to a strong finish for 2018 and a great start for 2019! 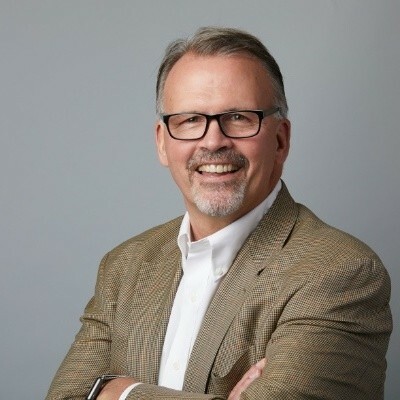 Tim Jackson is Advanced Group’s VP of Technology & Operations. Feel free to connect with Tim, of course, on LinkedIn. Want more insight or dialogue about these concepts? Connect with Advanced Resources today.